Ebrahim Khalil has over 27 years of work experience in GARMCO. He joined GARMCO as a Maintenance Planner, promoted to Planning Engineer in 2000. In August 2009, he took the position of Engineering Manager, June 2015 promoted to the Senior Engineering Manager and in April 2017 appointed Acting General Manager-Operations. 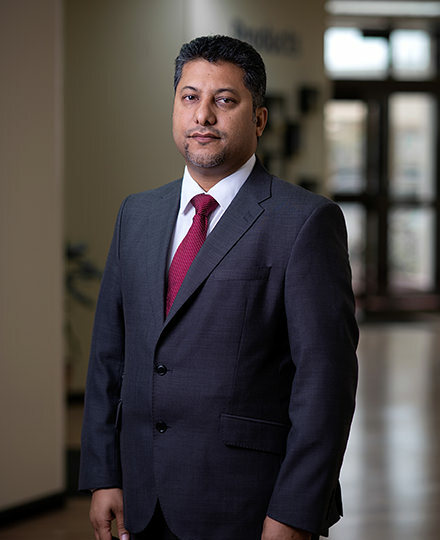 Ebrahim Khalil holds a Masters’ Degree in Business Administration-Specialized in PPP Management, BSc in Mechanical Engineering and Associated Diploma in Mechanical Engineering.